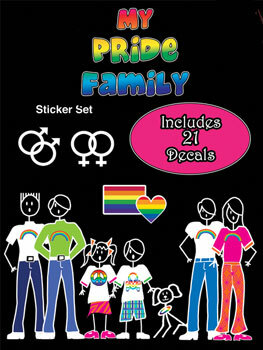 Rainbow Depot is excited to offer this Gay Pride Stick Family Sticker Pack. (Say that three times fast, I dare ya!) Plenty of stickers included to represent your family, including your four legged babies! These will look great on the back of your vehicle or anywhere you stick 'em.